While on a Methodist scholarship, earning a Bachelor’s Degree at Colorado State College, God had her preaching at the age of 20. Later, on an academic scholarship she studied and attained an earned Master of Science degree from Boston University – European Division with academic honors. Rev. Chandler was nationally selected to Yale University to study religion as an endowed scholar, presenting a paper at Harvard University. After being firmly “called by God” to preach the Gospel, Rev. Chandler matriculated to the Howard University School of Divinity (HUSD) attaining, with academic honors, an earned Master of Divinity with a concentration in Pastoral Counseling. 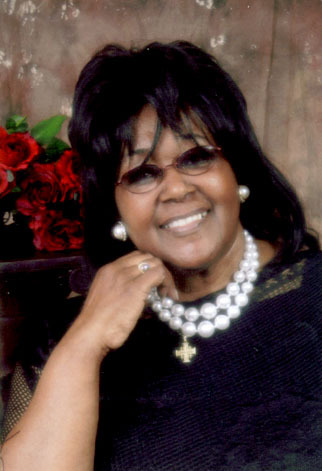 Prior to graduating from Divinity School, her home church – Greater Little Zion Baptist Church (GLZBC) – by unanimous acclamation licensed her into the Gospel ministry of Jesus Christ, under the pastorate of Rev. James T. Murphy, Jr. While at HUSD in Washington, DC, Rev. Chandler was ordained into the Gospel ministry of Jesus under the Rev. Dr. Judy Fisher. Rev. Chandler is an Associate Minister of GLZBC in Fairfax, VA where she has been a member for nearly 25 years. She is married to Col. (Ret.) Charles E. Chandler and they are the proud parents of Dr. Charles E. Chandler II, Reginald Chandler, and Jon-Michael Chandler. She has a daughter-in-law, Tisa, and granddaughters, Madison and Maya. Rev. Chandler is a 40 year retired teacher having taught senior high school in Fairfax County as an “outstanding teacher”, and for the Department of Defense Schools, as a “sustained superior teacher” in Karlsruhe, Germany & outstanding teacher of English Honors at Robinson Barracks in Stuttgart, Germany. Rev. Chandler is a member of Phi Delta Kappa and Alpha Kappa Alpha Sorority, Inc. Upon her husband’s retirement from the U.S. Army, Rev. Chandler received a certificate of appreciation from the Department of the Army, certifying her as a devoted, faithful wife to her husband and nation. It is her wish that when she has gone the last mile of the way, she will have served God well, in His will, touching a soul or souls that he created all to His glory!